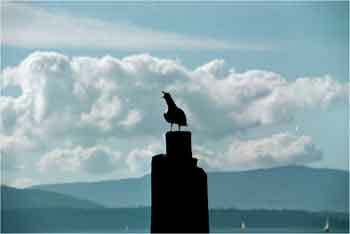 Photo © 2005, J. McKenzie. Soaring down from the mountain in Queenstown, New Zealand. While images and imagery abound, sometimes we now suffer from the poverty of abundance. Not all images are created equal and not all images are equally evocative or worthy of our attention. 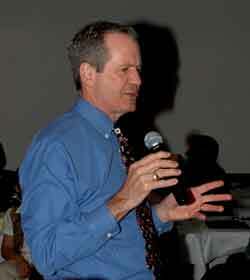 The abundance raises issues of strategy, choice and discretion that this article addresses. How can we make the best possible use of these resources? One of the chief blessings of the new technologies is the abundance of images and imagery to fuel the imagination and inspire wonder. Because images and imagery are used by powerful people to influence our thinking and our actions, schools must acquaint young ones with the ways that images can stir us or agitate us. Students must learn to view images critically as well as appreciatively. They must also learn to communicate with images. 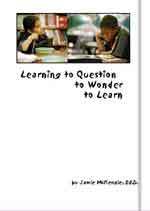 What is the difference between pondering and wondering? Most definitions of pondering focus on considering with depth, thoroughness and care while wondering might bring amazement, doubt or curiosity into play. There is often overlap between the terms, but when it comes to images like the one to the right, both pondering and wondering are required to grasp the possibilities. Explore each of the above elements by clicking on them. Each image may offer dozens of possibilities. 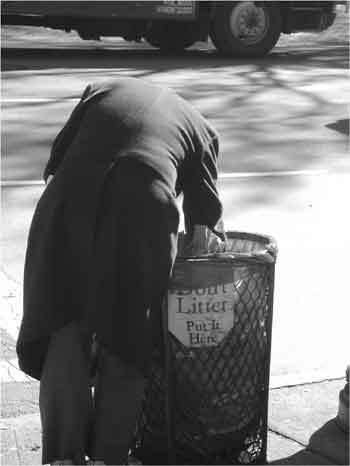 This photograph of an older gentleman searching through a Manhattan trash can might arouse feelings of concern in some or distaste in others. It reminds some of unfinished business - poverty and homelessness. Others might jump to thoughts of firmer policing. Placed alongside the text in this article, the man's digging might illustrate probing below the surface as when trying to understand an image. We wonder what he seeks in that trash can? The day's news? Something he threw away accidentally? Something lost? A dream? Scraps? Take out? The rest of this article will explore strategies to use digital images to develop visual literacy skills with several of the types of images listed above. What they can't see won't bite us. When a government restricts public access to certain images such as flag draped coffins or the bodies of hurricane victims, it is an obvious effort to limit the impact such images can have on support for a war or a particular administration. For this reason, CNN took the U.S. government to court when it tried to block filming of hurricane victims and forced the Feds to back down. Sunday, September 11, 2005; HOUSTON, Texas (CNN) -- Rather than fight a lawsuit by CNN, the federal government abandoned its effort Saturday to prevent the media from reporting on the recovery of the dead in New Orleans. Collections of the world's important paintings are far more available today than they were 30-40 years ago when teachers had to rely on limited print collections in school libraries or slides purchased from museums. These paintings often convey deep and complex meanings that make them fertile ground for showing students how to interpret, infer and synthesize. We can learn about the character of Captain Cook by comparing three or more portraits, for example. © 1992, Sarah McKenzie, all rights reserved. 1. You and your partner will gather and then comment upon three different portraits of Captain James Cook, starting with one by William Hodges (1744-1797) available by searching Discover at the National Library of New Zealand (click http://discover.natlib.govt.nz/index.shtml) and search for the three words "Captain James Cook" using an exact phrase search but not the quotation marks. 2. Once you have enlarged the portrait, copy and paste it into MS Word, using a right-mouseclick to copy and then paste. Set up your page with three columns - one for each portrait. "Webber painted Cook three times from life, twice in 1776 and once in 1777. 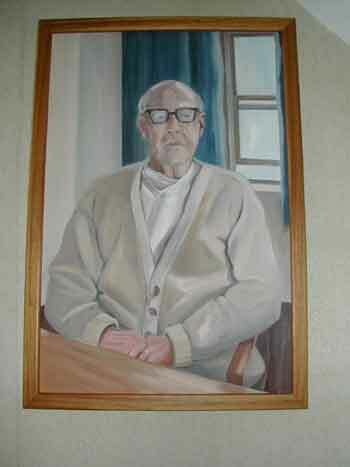 The first two paintings are in the National Portrait Gallery, London, and the National Art Gallery, Wellington. The third, painted in Tahiti, was given by Cook to his friend Chief Tu (Otoo) and has since disappeared." 4. Now for your third and final portrait. Click http://www.nmm.ac.uk/mag/pages/mnuExplore/ViewLargeImage.cfm?ID=BHC4227&letter=c This link will take you to another view of Cook painted by William Hodges, who sailed with Cook. Copy and paste this image alongside the first two so you have a trio. 5. Work with your partner to see if you can extract from these three portraits some essential truths about Cook as suggested by Rebecca West below. Make three lists of inferences about Cook's personality and character under each portrait. To what extent do your lists echo each other? "It is the business of the critic, as of the portrait painter, to synthesize a million glances at his subject that will tell the onlooker at one glance the truth about him, as ultimate as he can get it." Rebecca West (18921983), British novelist and literary critic. Paintings can also inspire students to invent new titles and exercise their synthesis skills, the challenge of this slam dunk digital lesson asking students to interpret the work of an Australian painter, Russell Drysdale, who shows a man and woman standing in front of a dwelling. 1. Start by figuring out what is going on. Who are these people and what is their story? Have one member of your group act as scribe to keep track of the questions explored by your group. Continue interpreting the painting until I instruct you to move on to the next task. 2. What are the traits of a good title? Make a list of traits and then brainstorm 12-15 possible titles before picking the best one. Once you have a good understanding of the painting, select a new title that captures the key story behind this painting. Be prepared to share your favorite with the group with an explanation of why you chose that title. 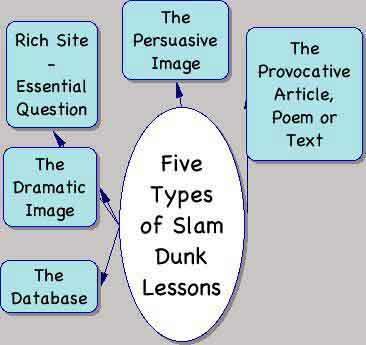 There are six types of slam dunk digital lessons that you can read about at http://questioning.org/module2/5types.html. There are hundreds of online art galleries and museums these days. Some are better than others, as they differ considerably with regard to the number of images shared, the power of the user interface and the utility of the database. 1. The Thinker (http://thinker.org) is a wonderful collection of some 82,000 images shared with the world by the San Francisco Fine Arts Museum. It scores especially well on generosity and user interface since it shares so many images and displays them in Java windows that allow for great zooming, but its database is better suited for finding words in titles than metaphorical content.  Images may be in black and white or full colour. 3. Yahoo Directory of Masters (http://dir.yahoo.com/Arts/Visual_Arts/Painting/Artists/Masters/) provides a huge listing of Web sites of varying quality devoted to hundreds of painters and their works.  National Gallery London, The .  Fine Arts Museums of San Francisco - including the M.H. de Young Memorial Museum and the California Palace of the Legion of Honor. Return to the list of types of images. 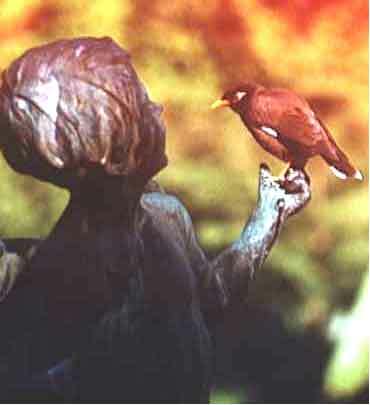 When we are allowed to see a full range of photographs depicting conditions, we can approach and almost grasp reality. Some would filter, censor and control our access to images in order to shape our view of life, hiding some images from view. Out of sight is out of mind? The Net has vastly increased the access of the world to images that emerge from the cameras of eye witnesses and regular citizens. Sometimes these images are unauthorized but eloquent in their impact on public opinion as was the case of Abu Ghraib prisoner torture and abuse photographs. Some photographs contain troubling content that evokes a passionate response. For this reason, photographs have been used for decades as tools of propaganda, persuasion and marketing. The photograph above was taken in Washington, D.C. on a cold Fall morning and shows a man asleep on a steam vent. It shows an aspect of life in a national capital that is rarely displayed in the course of daily news coverage. When Katrina flooded New Orleans, a city long known as an entertainment capital, disturbing images of poverty and suffering emerged through the glittering facade. As with many cities, the images projected by the Office of Tourism may distort reality while emphasizing virtues and ignoring blemishes. By asking students to contrast the photographs they may see on tourist sites with other collections, we can heighten their awareness of the selective use of images to shape perceptions. Alerting them to what is called "perception management" should make them somewhat less susceptible to the practice. 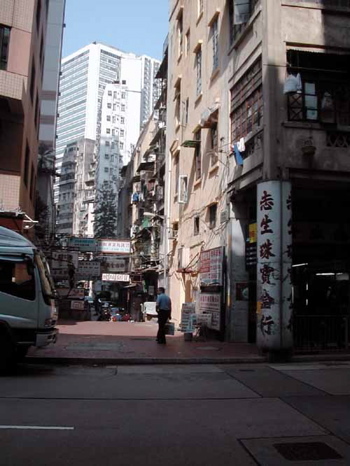 The sites listed below offer photographs of Hong Kong. Which seem to give the most balanced views? Which offer a rich mixture of old and new? Which show mostly impressive, attractive and reassuring images? 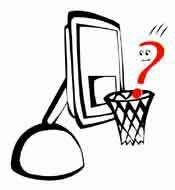 Which balance the positive with distressing information? Which overemphasize the distressing? 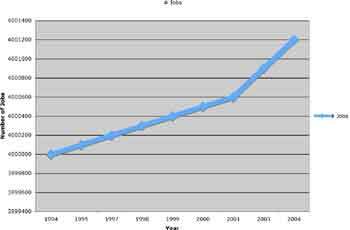 In societies that prize data, images are frequently employed to communicate about numbers. In some cases, the visual representation of data can create false impressions, making things look better or worse than they really are. Whether data is being used to study the effectiveness of a drug, a governmental policy or a reading program, our students must learn to think critically about such images and be aware of techniques used to twist or distort the facts. 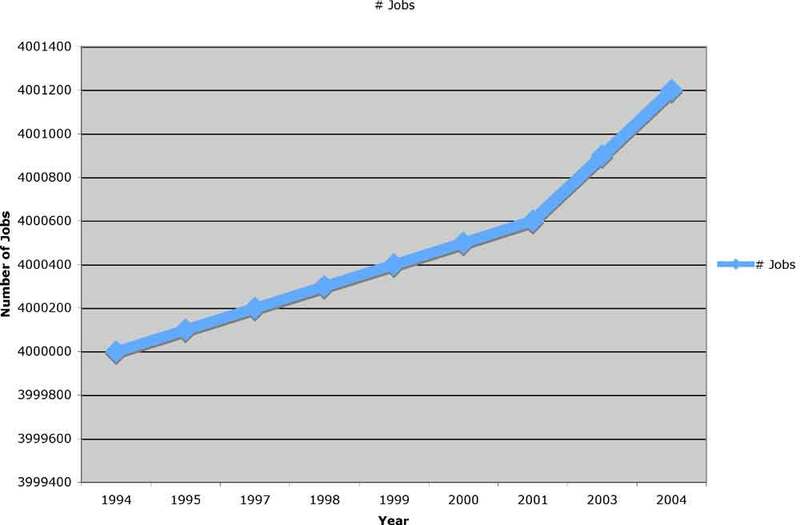 If you click on the image above, you can enlarge it and consider the techniques employed to make a small amount of job growth look really impressive. An excellent source to consider this challenge is Edward Tufte's book, The Visual Display of Quantitative Information. Ads and posters adorn everything from the sides of buildings and busses to the bottoms of "free" email services. Some of these ads make clever and artful use of images, while others are cruel, insensitive and demeaning. There are some powerful Web sites devoted to critical thinking about such ads, offering archives of offenders and winners. Another excellent source is a textbook created for freshman English that offers many worthwhile online activities. Companion Website to accompany Writing Arguments by John D. Ramage, John C. Bean, and June Johnson. 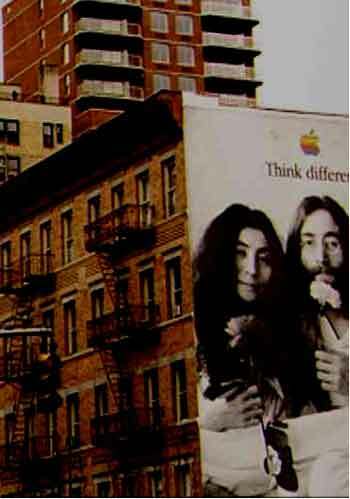 The Library of Congress offers remarkable archives of advertising from previous decades that also make for the development of critical viewing skills. One part of this collection shows Coco Cola ads from five decades. Click here. Back to the list of elements. Credits: The photographs in this article were shot by Jamie McKenzie. You can sign up to attend a Jamie McKenzie seminar on this topic in a city ranging from Boston to Chicago to San Francisco to Perth or bring him to your school. You can read sample chapters and consider the Table of Contents. Click here.